Buying a car online offers many benefits: the option to buy from the comfort of your own home, to bypass pushy salespeople, to see a wide range of vehicles from across the country, and to find many great deals. The advantages to purchasing a vehicle online are clear. However, there is one consideration to keep in mind when buying online, how the car will get to you. When the car is out of state, transportation arrangements become more difficult. There are several options available to you. You could fly to the location, have someone drive you there, or have the owner or dealer ship the car to you. 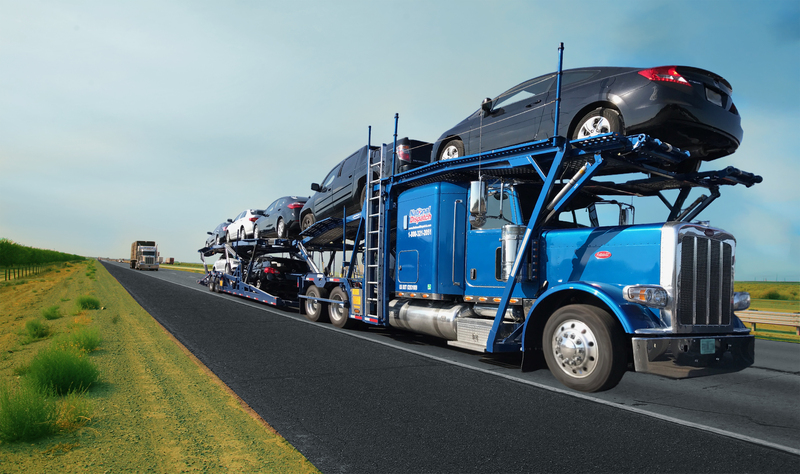 Shipping a car requires the use of a reliable auto transport company. Furthermore, it is the easiest and safest transportation option. Let us explain why. Time-saver. You do not need to request days off work to fly or have someone drive you to pick up your car. Instead, the car will be delivered to you in a matter of days to weeks, depending on the shipping option you choose, as well as the pick-up and delivery locations. Convenience. You chose to purchase your car online for a reason. One of which was probably because it was convenient and easy to do. Auto shipping provides the same solution. The car will be shipped directly to your door with door-to-door auto transport services. Peace of mind. Using an auto shipping company is a safe alternative to driving, especially if you are intending on purchasing a classic model. Many individuals purchase classic vehicles as collector items. They do not drive these cars often to save on mileage and reduce the chance of depreciation. Any vehicle that you ship will be transported with the utmost care. If you are thinking of buying a vehicle online, like many others have, then we are here to help. Many companies leave the buyer to deal with the details of the transportation of the vehicle. Before purchasing a car online, here are the steps that you should be aware of. 1. Find the right car for you. 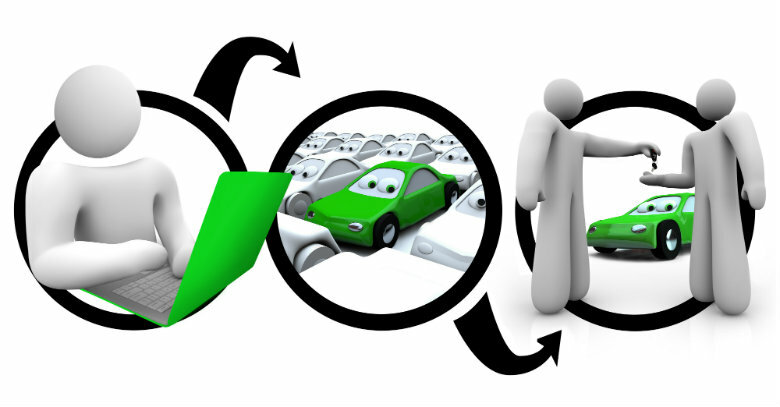 With the increased popularity of online car buying, there are numerous sites on the web for you to locate a car. If you know exactly what you are looking for, you can filter your search using specific criteria, such as the car’s make, model, and year. A few sites in which you can buy and sell a car online are eBay motors, TrueCar, and AutoTrader. The website may even have a comparison tool, in which you can compare cars with similar features. 2. Complete the necessary paperwork. After you have decided on the car that is perfect for you, you will need to fill out all the necessary paperwork in order to call it yours. Most companies utilize an e-document system to send you the forms. This uses an electronic signature. However, it works in a similar fashion to if you were signing documents directly at the dealership. Car transport rates are dependent upon a variety of factors. The price to ship your car will depend not only on how far the driver must travel, but on other variables, as well. Many auto transport companies use online quote calculators to make it easy for you to obtain a quote. However, not all calculators require no personal information. With National Dispatch, we only require four simple fields for you to receive your free car shipping quote. Plus, you will receive your estimated cost in a matter of seconds, instead of waiting around for a phone call or email. 4. Book auto transport services. To lock in a date and request particular services, you will need to contact the auto transport company. It is best to book transport services several weeks or more out. This will give you and the transporter adequate time to get arrangements in order. However, if you need the vehicle on a short deadline, National Dispatch has shipping options available to suit your needs. Know the importance of photographs. Many of the vehicles you will look at online may be a distance away from where you live. One of the best ways to assess the quality and condition of a car is through pictures. Likely, many of the cars you check out online will include photographs of some kind. However, they may not include all areas of the vehicle or may be of poor quality. Request from the dealer or seller pictures of the car’s interior and exterior, including closeups of the seats, dashboard, under the hood, and tires. If the seller can supply a video of someone completing a walk around of the car, then that is even better. Before purchasing any car, you should ensure that you are receiving a fair price. This can be done by getting the BlueBook value or by researching what other similar cars are going for in the area. You can also use CarFax, which obtains a report based off the history of the vehicle. The history of a car affects its value. Furthermore, it is important to know what the car is worth and what you should be paying for the car. Checking the value of the vehicle is one way to avoid over-paying. Obtain a Vehicle History Report. Many ads listing a vehicle will include the vehicle identification number, also known as the VIN number for short. This number is used to run a vehicle history report, which can tell you important information concerning previous owners, accident history, vehicle use, and more. The license plate number can also be used to obtain this report. Some sellers may provide you with a link to a free report. 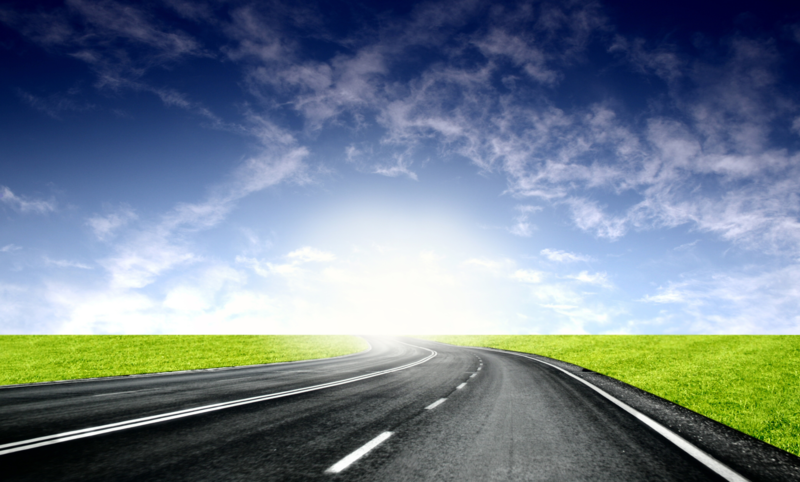 The importance of running a vehicle history report cannot be overstated. It is essential to know if the vehicle you are about to purchase is worth your investment. The report will make you aware of any red flags before you buy. Request that a vehicle inspection be completed on the vehicle. There are mobile inspectors that will come to the car’s location to check out the vehicle. It is better to waste a little money on an inspection than to waste a lot on a car that will not last you for years to come. The inspection report will tell you about the car’s condition, notifying you of what may have been left out of pictures and descriptions. The inspection should detect any damage on both the car’s interior and exterior. Unfortunately, the internet is full of fraudulent activity. 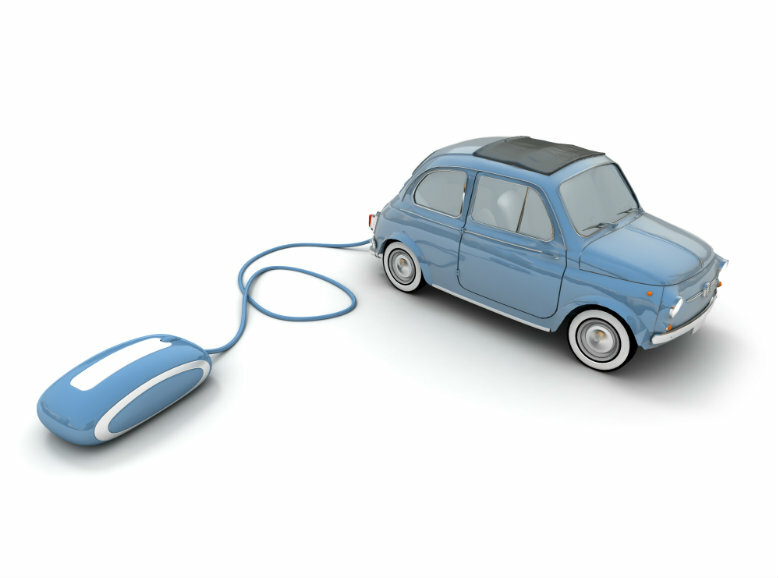 When buying a vehicle online, you want to do everything in your power to avoid any scams. Watch out for ads posting vehicles that are severely under-priced. In addition, we recommend a phone call conversation with the seller. When you are beginning the process, text and email are good means of communication. However, a phone call allows you to judge the character of a person, as well as ask necessary questions. Overall, use your gut and common sense. If something does not feel right, then it probably is not. Pick a company that’s right for you. A dealer or seller may have a recommendation for an auto transport company. However, it is best to do your own research, as well, to find a company that meets your unique needs. Although the seller may have used the company several times before, you want to ensure that the company is reliable and trustworthy. After all, you are putting your car, a prized possession, in the hands of someone else. You want to ensure that it will be taken care of. You can do this by completing a search on Google. Choose the right shipping method. There are two primary methods for transporting a car from one location to the next. This would include open auto transport and enclosed auto transport. Open auto transport: This method of transport is the least expensive of the two options listed above and the most popular shipment method. The car will be placed on an open-air carrier with up to eight other vehicles. Since the carrier is not enclosed, the vehicle will be exposed to natural road elements and weather conditions. Enclosed auto transport: This method of transport is more expensive, because the car will be placed in a fully enclosed carrier. This means that it will be better protected from outside elements, such as dust, dirt, and more. Thus, it won’t face the risk of damage from these conditions. It is the recommended method for luxury, classic, exotic, or other high-value vehicles. Today, many people are buying cars online, because they have access to a large inventory of vehicles right from their own couch. The process is relatively simple, but it involves much research and preparation to find exactly the car you have been looking for. You must compare prices, ask questions, and run reports to obtain a vehicle worth your time and money. We own our own trucks, like the one seen in the picture above. This is not universal across the industry. Not all companies own their own carriers. Professional and courteous auto transport experts. Our drivers are trained to handle a number of situations and have a thorough knowledge of federal rules and regulations. We go the extra mile to ensure that your vehicle arrives safely and on time. Furthermore, we are always here to answer any questions or concerns you may have regarding auto transport services. Call us today. We provide a variety of services to our customers. We offer open auto transport, enclosed auto transport, door-to-door shipping, and non-running vehicle shipment. There are also a number of services to cater to specific customers, such as if you are undergoing a corporate relocation, college move, dealer to dealer car trade, and more. Not only do we transport cars statewide, but we ship vehicles nationwide, as well. Anywhere in the United States you need to go, we can deliver your car to its destination. There is no need to worry. We will care for your car as if it were own. Capable of transporting a wide range of vehicles. We ship a variety of vehicles. From cars, trucks, vans, SUVs, and motorcycles, we ship them all. We even have the necessary manpower and equipment to transport your non-running car. Go to our website at https://www.nationaldispatch.com/ to find out more information about who we are and what we do. We encourage you to use our online quote calculator system to receive a free, instant car shipping quote. No personal information is ever required. All you need to enter is the vehicle make and model, along with the pickup and delivery locations. You can also call us 800-321-2051 to speak with one of our auto transport specialists. Happy car hunting, and we look forward to hearing from you soon!